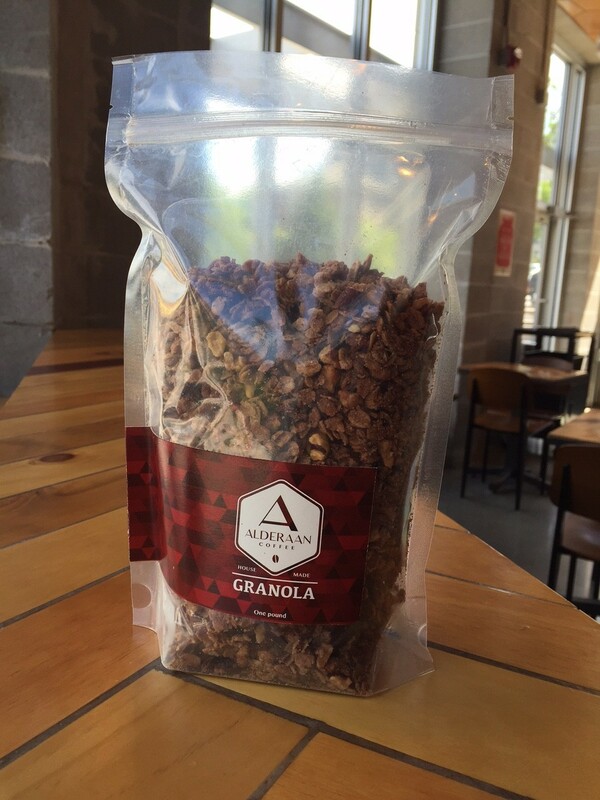 Alderaan granola is made in house and is handcrafted in small batches from the finest ingredients. Slightly salty and sweetened with brown sugar, the granola has walnuts and pecans for a nutty flavor. We now offer our granola in 1-pound bags so you can enjoy it at home. Serve it with yogurt, milk or sprinkle it on ice cream.